The Gita Contest 2018 ~ The Toronto Hare Krishna Temple! 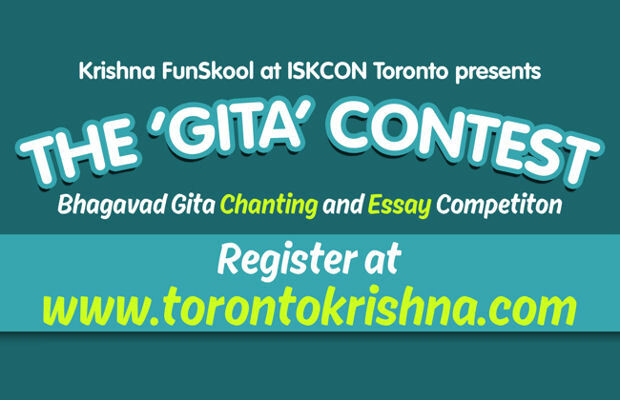 Krishna's Funskool at ISKCON Toronto is pleased to announce the Gita Contest 2018 – Bhagavad Gita competitions for children. Please register by filling the Registration form here. Last date for registrations is Saturday, 1st December, 2018 midnight. For Gita verses and translations, please refer only to 'Bhagavad-gita As it is' by His Divine Grace A.C. Bhaktivedanta Swami Prabhupada. 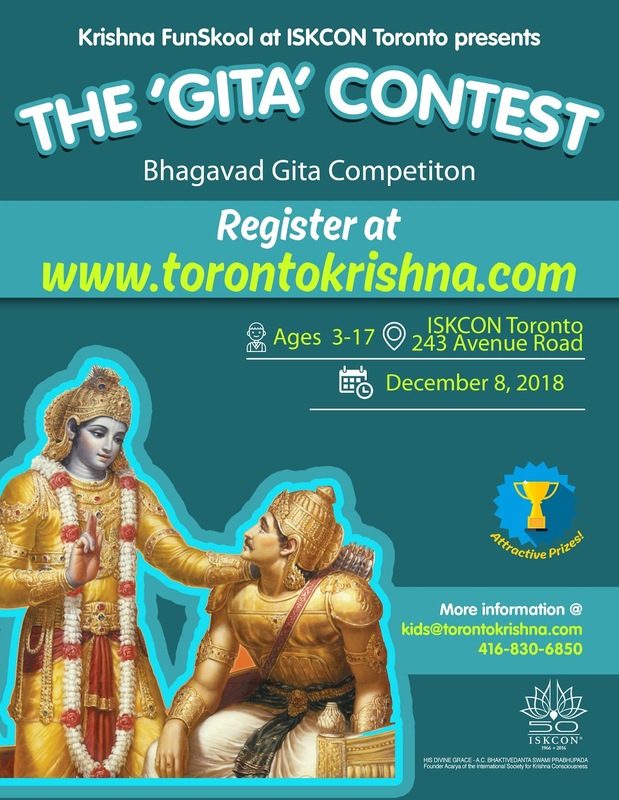 For details about content for Bhagavad Gita contest, registration and other information, contact us at 416-830-6850 or email us at kids@torontokrishna.com.